Choosing a list of book recommendations is a difficult thing. There are too many good books to choose from! Even after narrowing the criteria for what goes on the list, it can still be too long and overwhelming for some (this one has 20 items but I sneak more than one title in whenever I can–I personally prefer much shorter lists). So, for this post, I chose only picture books, and only books currently in my personal library or those I hope to add someday. That means I really like them. I also (mostly) limited myself to choosing books with girls as the main characters, which is of course not to say that I think girls should only read books about girls–it was just helpful in narrowing the list down. Since this post started as an email discussion where multiple women were suggesting children’s books, I discovered (or re-discovered) some great books. I love love the fact that this kind of discovery always always happens, no matter what, even though I’m completely surrounded by books at work. One other thing about book recommendations is that every book doesn’t necessarily appeal to every person. So if you take this list as a “if you are looking for picture books that have girls as main characters and that are overall just good children’s books, check these out” kind of list, you might find something you love. I hope! 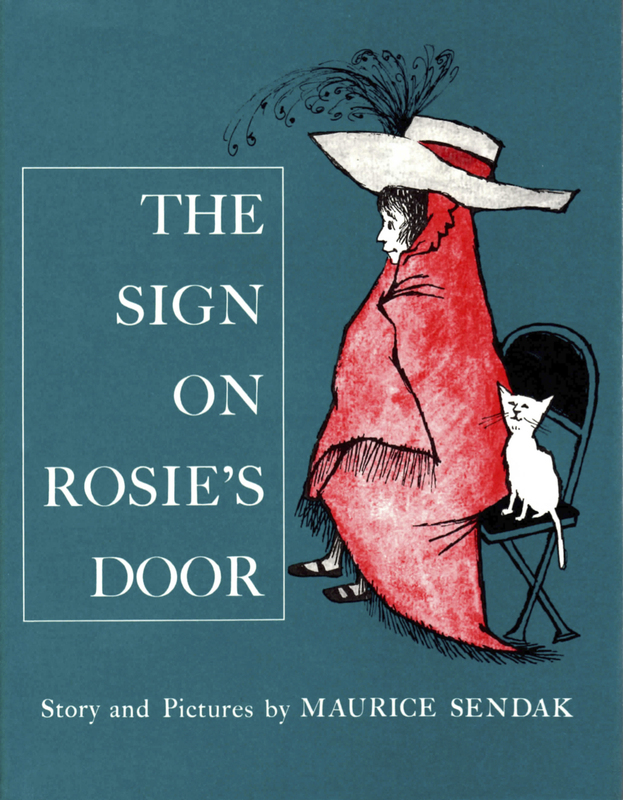 Rosie is one of my favorite girl characters of all time and I only just discovered her recently, when the lesser-known Maurice Sendak titles started showing up on bookstore shelves soon after he died. Rosie is creative, bossy, hilarious, and loves to be in the limelight–all of which are qualities that make her the local expert in imaginary play. The story shows how kids in the neighborhood gravitate to her charisma and fanciful ideas. Another picture book by Sendak that is at once frightening and beautiful is Outside Over There, where a girl takes on the responsibility of looking after her baby sister. So, so, so great. About a girl who has big dreams and follows them, but also carries with her a determination to make the world more beautiful wherever she goes. I love this story so much. Virginia wakes up one morning feeling grumpy and “wolfish.” Her sister, Vanessa, works tirelessly to cheer her up. She offers treats, plays her violin, and still Virginia growls and hides under the covers. In her final attempt to lift Virginia out of her bad mood, Vanessa paints a fantastic world imagined by Virginia, and that does the trick. 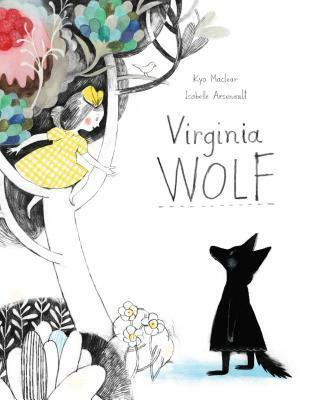 This is a great book for talking about moods and feelings, as well as sisterly love–complete with beautiful and intriguing illustrations that reflect both the darkness and the vibrancy that are a part of life. Loosely inspired/based on Virgina Woolf and her sister, Vanessa Bell. Shirley has plenty of raucous adventures at the beach while her parents sit on the sand, obliviously calling out over-protective advice, but mostly minding their own business. Hilarious and thought-provoking (from “adults can be so clueless” to “how many of Shirley’s adventures are real,” respectively). I love all of John Burningham’s books. Just read this. Beautiful biography picture book about Helen Keller, with great quotes from the woman herself. Just so good. Pure awesome. About the extraordinary Hildegard von Bingen as a little girl. So lovely and beautiful and extraordinary. It’s a goddess creation story. Enough said. Three generations of women living together and taking care of and sacrificing for one another. Also, a beautiful portrayal of how others in their community help them out. A young girl sees a wire-walker and is driven to learn his craft. The man teaches her the skills and she teaches him to be brave again. Gorgeous watercolor illustrations. A little mouse is determined to find out what’s on the other side of a giant stone wall near her home. Why do I like it? She boldly follows her own sense of curiosity and desire to know something and doesn’t give up until she’s satisfied. Mostly a cute story about being honest with yourself and not trying to change or hide the way you are for the sake of being likable. Kinda along the lines of Mumble Bear. And the protagonist is a girl. I also love David Shannon’s rich paintings–so imaginative and colorful. Another book with a girl who wakes up with some strange physical trait. I love it because it’s purely absurd and I love David Small’s work. The Gardener, written by Sarah Stewart, is another book Small illustrated and I highly recommend it. It’s a longer read. It has a young protagonist away from home out of necessity, who grows strong and confident as she makes her own and others’ lives more beautiful. Kevin Henkes does a great job of portraying little kids as sweet-looking rodents. Chrysanthemum is the main character’s name and the story is all about how her feelings change regarding her name. I love names and the significance and meaning behind them. In another by the same author, Lilly is a fun, cute little character to follow. Oh, and I can’t forget to mention Sheila Rae the Brave, a story of finding courage through family. Simple and adorable. A little girl imitates animals and other creatures using some imagination. 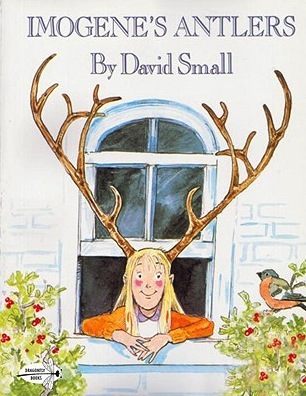 On the list by virtue of great illustrations and having a little girl as the main character. A kind, gentle bear is is so busy doing things for everyone else that he never has time for himself–until the day he finally gets fed up and decides to do his own thing and accept whatever social consequences follow. 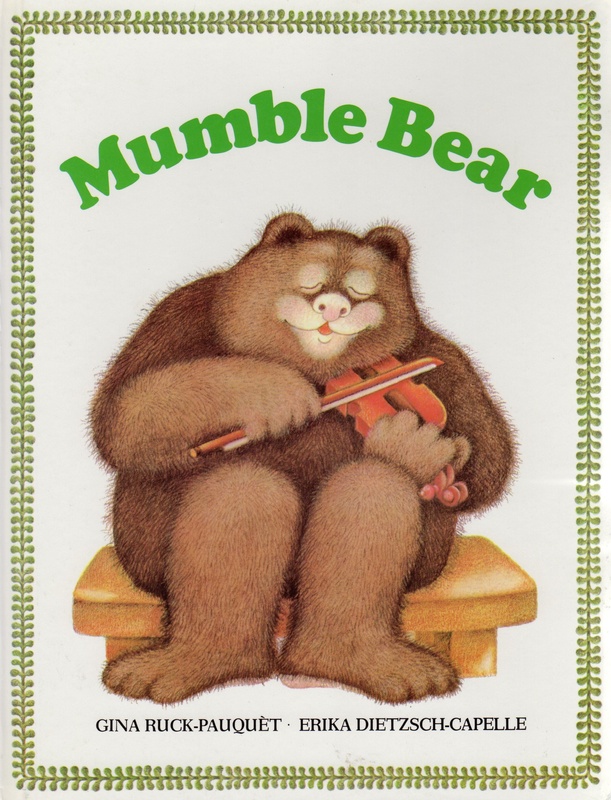 I love this book because I see so much of myself in Mumble Bear. Probably a lot of moms do. I think it’s a good book about identifying personal needs and setting boundaries. Mostly about global awareness and the beauty of diversity. Makes me cry. Super hilarious, silly, and most fun to read aloud in a British accent. Love these humorous from childhood. Has anyone ever listened to the audio from back in the day? They are delightful. The woman who reads them does a fantastic job. Hilarious sisters. Lots of relevant topics for kids (like trying new foods and losing teeth). Love Lauren Child’s illustration style. Very “true” voices. These books contain very meaningful stories, many with a female protagonist. A couple that come to mind are Thunder Cake (about overcoming fears) and The Keeping Quilt (an incredible immigration story, also autobiographical). 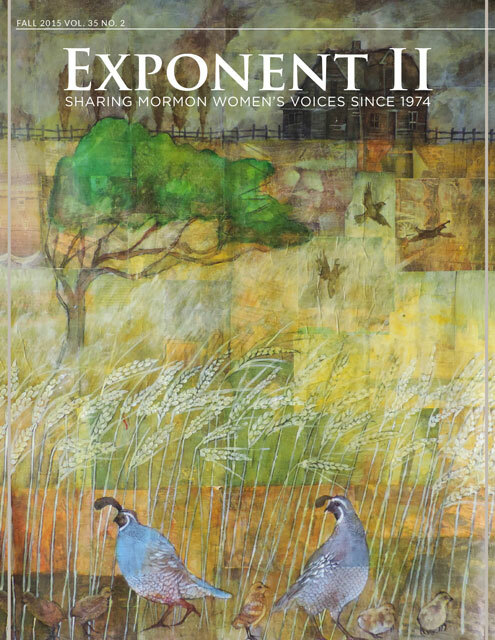 She illustrates her books beautifully, and lots of them are heavy with text, so will likely strike a chord with children who keep the necessary attention span. I would love for you to share your favorite picture books in the comments. Please? Next story September Young Women Lesson: How do the things I say affect me and others? Previous story Will you fast for women’s ordination? Brooke, as the individual who started that email thread, I can’t thank you enough for your beautiful and thoughtful reply. I have since read (and loved) Miss Rumpheus, thanks to very kind gift 🙂 and look forward to reading the rest of these suggestions. Thank YOU, Rachel, for starting the conversation! If there’s one thing I can’t resist going on and on about, it’s books. do princesses wear hiking boot? it’s so good! I bought it for my nieces. Sara, it’s so nice that there are alternative princess stories that are out there these days. Thanks for sharing! Thanks for the recommendations, Brooke. I’m familiar with a few on your list, and I definitely enjoy them. For example, A Bad Case of Stripes is very fun. One of my sisters recently suggested that Robert McCloskey’s Time of Wonder is the perfect picture book, and I’m inclined to agree with her. It’s beautifully illustrated and written, and even for me, a person who was raised far from the ocean, it makes me feel like I’ve been there and lived the story he tells. Another great one that another of my sisters recommended is Pat Hutchins’s The Very Worst Monster. We want our kids to be the very best kids, but what if you’re a monster, and your parents want you to be the very worst, but they don’t appreciate your efforts? My toddler daughter’s current favorite is Ezra Jack Keats’s The Snowy Day. I particularly love the illustrations. Tangentially, what’s striking about the book is that it was written in the 1960s, and it features a protagonist who is too young to go to school, but who nevertheless gets to play outside by himself in the snow. I can’t imagine such a book being written today, in our era of bike helmets and seat belts and constant monitoring. As a kid, I really enjoyed Bill Peet’s books, although as an adult, I find their environmentalist message to be more heavy handed than I would like (e.g., The Wump World.) But that might just be the difference between being a kid and being an adult. As an adult, maybe I just appreciate subtlety more. Finally, I love Harry G. Allard Jr. and James Marshall’s The Stupids books. They’re wonderful because the characters are, well, stupid. I love seeing the taboo smashed, I think perhaps because I worry so much myself that I’m stupid, and it’s a relief to see the issue joked about out loud. Thanks for chiming in, Ziff! I know and love some of your suggestions (my favorite Bill Peet is Big Bad Bruce), and am excited to check out the rest. Tangents don’t matter when you’re talking about books, right? Kirsten, I’m so glad you (and Emig in the comment below) have introduced me to the Quiltmaker books by Jeff Brumbeau! 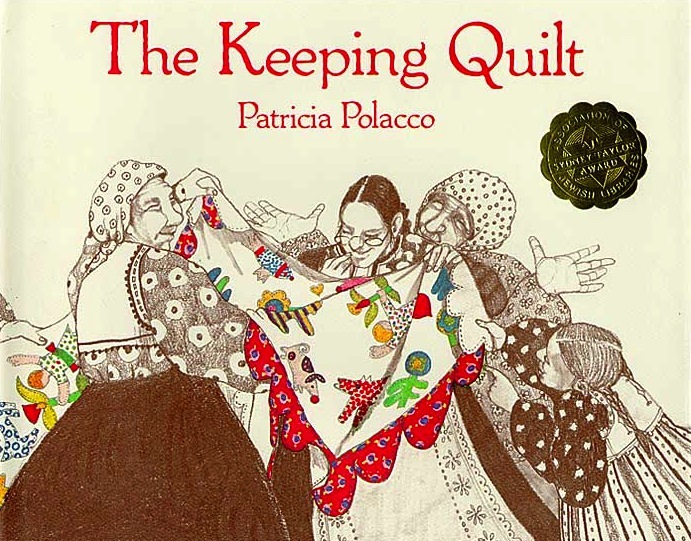 I have just had a revival of my quilting passion this summer and this recommendation is perfectly timed. I also love the Paper Bag Princess. Emig, I am so glad you commented! I have only heard of 3 of these books, and I love, love, love getting recommendations. I can’t wait to look them up! My daughter and I love the Olivia books. She’s a force to be reckoned with! Olivia and the Fairy Princesses actually contains a pretty strong indictment of princess obsession. And Olivia’s super into Martha Graham! So we got to look up Martha Graham videos on YouTube. I love Princess Prunella and the Purple Peanut by Margaret Atwood. I think it may be out of print, but the language is delicious. The princess does end up with a prince in the end, but he is described favorably as pear-shaped and pin-headed, so it’s not exactly typical. We also love books that put a twist in classic fairy tales, like Goldilocks and Just One Bear. I’ll come back and post more when I think of them. Janeannechovy, I love fairy tales with a twist too! Cinder Edna by Ellen Jackson, for example, and An Undone Fairy Tale by Ian Lendler. Also, I’d only ever read one picture book by Margaret Atwood (the gorgeous Up In a Tree) but I must now go look up more! Thanks! p.s. When a good story leads to curiosity and knowledge searching (like learning about and watching videos of famous dancers for instance), that’s my most favorite thing about books. The best children’s book of all times without question or competition (though it does not have a female protagonist) is How Tom Beat Captain Najork and his Hired Sportsmen and the sequel A Near Thing for Captain Najork. So I got on a tangent. I think great children’s books are funny and fun to read. Em, I love Thurber’s Many Moons! Especially the version illustrated by Louis Slobodkin. And I’m super excited to find the others to read. Thank you for commenting! Aw, Meka. I saw a picture of you holding her. Just adorable. 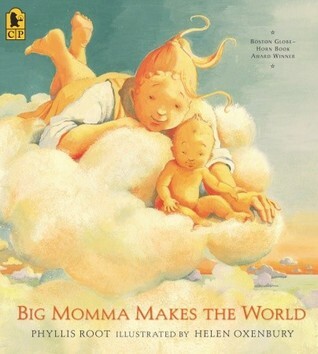 I love Mama Made the World – I read it this year to my whole UU congregation. They loved it too. Yay for picture books in church! This one is such a beautiful book to share. I love this thread, Brooke! I’m going on amazon right now to get a bunch of these. Yay for building the home library! I’m sorry for the absurdly long list I’m about to post, but I can’t resist a thread about books! And since I started working at the children’s desk in the library last year, I’ve been obsessively looking for good picture books for girls, so I want to share them. You’ve all probably seen A Mighty Girl already, but in case you haven’t, their booklists are great for this (like The Ultimate Guide to the Independent Princess). Miri, I have spent a bit of time at the Mighty Girl website and your comment reminds me how I was super impressed by the quantity and quality of its content, half of which I’d never read. I have so much reading to do (in a good way!). You have shared some awesome recommendations–I echo Em’s hoorah for Me…Jane! Thanks, Danielle! So glad you liked my post. Apple Farmer Annie It’s a lovely story about a girl name Annie who owns her own apple farms and grows, harvests, produces and sells goods. It’s simple, but empowering and sweet. I love reading it with my daughter (and son). I’m glad you shared this book suggestion, Kristal. It reminds me of the industrious grandma in But No Elephants by Jerry Smath, and of the wonderment I feel when I read The Ox-Cart Man by Donald Hall, illustrated by Barbara Cooney. Hooray for learning DIY skills from picture books! Thank you for the list of recommendations. It is a good reference for baby gifts. And for books to buy my nieces and nephews. I’m joining this conversation late, Brooke, but I wanted to jump in and say hello. (Hello!!!) I have one book to add: Brave Irene by William Steig. I love that it is a desire to help her mother that brings out Irene’s best. Thanks for sharing, Brooke!